Artweaver 6 is out now! We are happy to announce the availability of Artweaver 6 Free and Plus. Artweaver 6 is the next major version of Artweaver with many new features and improvements of existing features. You can download the new version directly from the Artweaver homepage. Due to the fact that Artweaver 6 Plus is a new major version there is a new license needed. But you can upgrade any older Artweaver Plus license to the latest Artweaver Plus version at a reduced price compared to the full version or even for free if you have bought your license within the last 3 months! For a complete list of all new features, improvements and changes please visit the Artweaver 6 changelog page. * Not all new features are available in Artweaver Free but only in Artweaver Plus. An update for Artweaver Free and Plus 5 to version 5.1.5 is now available. You will get this update automatically over the Artweaver self update feature the next days. We are happy to announce the start of the Artweaver 6 beta test. 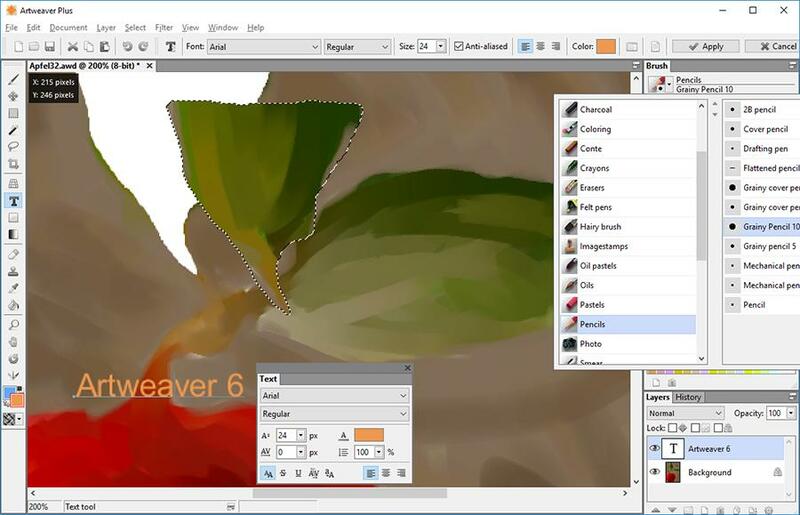 Artweaver 6 is the next major version of Artweaver with many new features and improvements. Highlights for this version are better support for High DPI displays, brush engine enhancements, user interface improvements and advanced support for Photoshop® compatible Plug-Ins. Please register today for free to the Boris Eyrich Software Beta Portal and join the Artweaver 6 beta test to learn more about new features and be the first to try it. An update for Artweaver Free and Plus 5 to version 5.1.4 is now available. You will get this update automatically over the Artweaver self update feature the next days. It has been quite here since a while and even the last update for Artweaver was released a long time ago. But this doesn't mean that we are out of business. We are hard working on the next version of Artweaver. Unfortunately there a some unexpected and unplanned delays in development but we are still aiming to release Artweaver 6 end of this year. Furthermore there will be an update for Artweaver 5 soon which mainly fixes some issues. Working on this update has currently the top priority for us. So stay tuned for the update and more details about Artweaver 6 at this blog!